Boundless Way Zen Westchester: Blue Cliff Record 26. Baizhang (720-814, 9th generation, Hongzhou) was a disciple of Mazu (709-788, 8th gen.) and the teacher of Huangbo and Guishan. 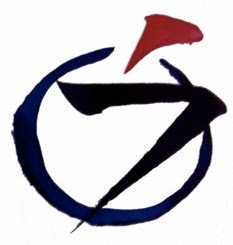 Baizhang appeared as a secondary character in two of the Mazu koans. He is the primary character in seven of our cases. A monk asked Baizhang, "What is the matter of extraordinary wonder?" The monk made a deep bow. Baizhang thereupon hit him. Baizhang was ordinarily like a tiger with wings. Nor does this monk shun birth and death: he dares to grab the tiger's whiskers and asks, "What's th extraordinary affair?" This monk too has eyes. Baizhang immediately took up the burden with him saying, "Sitting alone on Daxiong Mountain." The monk then bowed. Patchrobed monks must be able to discern the meaning before the question. Today, if someone were to ask me "What is the matter of extraordinary wonder?" I would say, "Is anything extraordinary? Do you know what it means? The bowl of Jingci has moved -- I'm having rice in Tiantong." In the domain of Buddha ancestors, there is always something extraordinary: sitting alone on Daxiong Peak. Being allowed to totally sit is itself an extraordinary thing. Even more extraordinary is "The bowl of Jingci has moved -- I'm having rice in Tiantong." Each and every extraordinary activity is simply having rice. Thus sitting alone on Daxiong Peak is just having rice. This Great Sublime Peak was Baizhang himself. But Baizhang was not bragging. He was simply the Great Sublime Peak, which is the ultimate truth of the universe. The monk made a gesture of astonishment at the appearance before him of so wonderful a thing as the Great Sublime Peak. Of course, he was expressing his admiration of Baizhang and his answer. At the same time, there was an element of bantering in his action This was a normal part of Dharma battle. Baizhang thereupon hit him: as this was a Dharma battle, the blow was the finishing touch. Daxiong Peak was another name for Mt. Baizhang, Master Baizhang resided. But what does it mean that his "sitting alone on Daxiong Peak" was extraordinarily wonderful? It would be the same thing as, "I am sitting alone in San'un Zendo" – something quite ordinary. This is nothing but "a matter of extraordinary wonder," which means a full manifestation of the essential nature. It's the essential nature itself. The "extraordinary wonder" is nothing other than this. Even the word "alone" is enough. To tell the truth, there should be no meaning in the utterance. Baizhang answered, "Sitting alone on Daxiong Peak." This answer is essentially the same as "Muuu....," though the number of words is a little more. As a matter of fact, Zhaozhou would have answered "Mu." Since it is the same as "Mu," simple "Sitting alone!" or just "Daxiong Peak!" would have sufficed as well. Why did Baizhang hit the monk? Some people interpret the action as meaning, "Not yet good enough!" Others interpret it to mean, "That bow is wonderful." Or it may have been a blow to wipe out all things, to conclude the entire koan. The decision depends on each individual's level of Zen understanding. 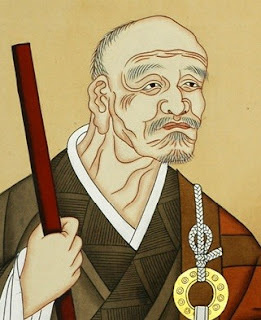 Haku'un Roshi interprets this in the sense that, if you fancy even a bit that the solemn posture of sitting alone on Daxiong Peak is "a matter of extraordinary wonder," it is wrong; the blow suggests that "it's not there!" I would rather take the action as putting a conclusion to the whole koan – "Bang!" that's the end. The special thing. He asks about the essence of Zen; what is supremely valuable? This monk is a rascal; even if Baizhang answers "Buddhahood" or "Zen mastery," the monk is planning to toss it right back at him. Sitting alone on the Peak of Great Valor. Splendid! Baizhang hit him. The bit transmitted Zen master-to-Zen master can't be done without a beating. The monk is presenting his view in his words. Anyway what is special in Zen? What is not? Every individual must discern. Sitting alone. It was carried by this monk, but aren't all of your activities special? And what's so special atop the mountain? A swipe at the ear. The time you take charge you will leap into life. on the same path but not the same track. possible wheels can all turn both ways. Behold the special! So ordinary. Behold the ordinary! Sublimely special. Sitting alone leads to bowing. Bowing leads to receiving blows. This ordinary is extraordinary precisely because there is no extra.